Soon after the February 1917 revolution, and the abdication of Tsar Nicholas II, the White Cause began to emerge and oppose the Bolsheviks. There was, however, no single, united White Army to fight the Red Army and the forces available to the Whites represented a spectrum of political factions including monarchist military organisations and social-democrats. Many of the Cossack hosts also sided with the Whites, seeing it as an opportunity to create their own independent states; others remained neutral or hostile to both sides. 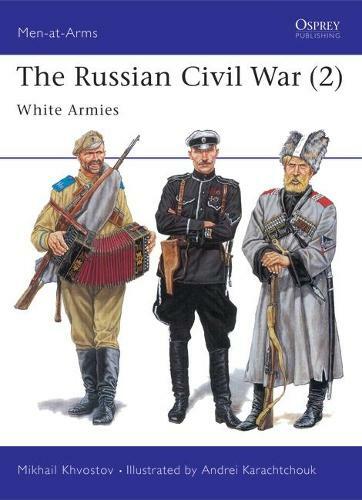 This fascinating text by Mikhail Khvostov examines the colourful uniforms and the equipment of the White armies of the Russian Civil War (1917-1923).